The Court of Appeal in Sokoto, the Sokoto State capital, on Monday set aside a judgment of a high court, which allowed the All Progressives Congress to field candidates in the 2019 elections in Zamfara. A Zamfara State High Court had recognised the primaries held by the APC and directed INEC to accept the party’s candidates for the elections. What changed? But the Chairman of the Senate Committee on Petroleum (Downstream), Kabiru Marafa, and 129 others through their counsel, Mike Ozhekome( SAN), appealed the judgement. Respondents are Kabiru Liman-Danalhaji and 139 others represented by Mr Mahmud Magaji as the lead counsel. Marafa and others had approached the appellant court and argued that the state high court lacked the jurisdiction to entertain the suit and that its judgement should be declared null and void. Reacting to the Court of Appeal’s verdict, the Peoples Democratic Party and a former governor of Ekiti State, Ayodele Fayose, hailed the judgment, saying the APC participated illegally in the Zamfara State polls. But the APC on its part said that it would appeal the judgment at the Supreme Court. The Court of Appeal, through the presiding judge, Justice Shaibu Yakubu, had earlier on Monday said the Zamfara State High Court failed to evaluate wholly all evidence presented before it before giving its verdict on the APC primaries in the state. Justice Yakubu, who delivered the unanimous judgment, said all evidence placed before the court had shown that the respondents (APC and others) did not conduct primary elections which accordingly, contravened the electoral law. 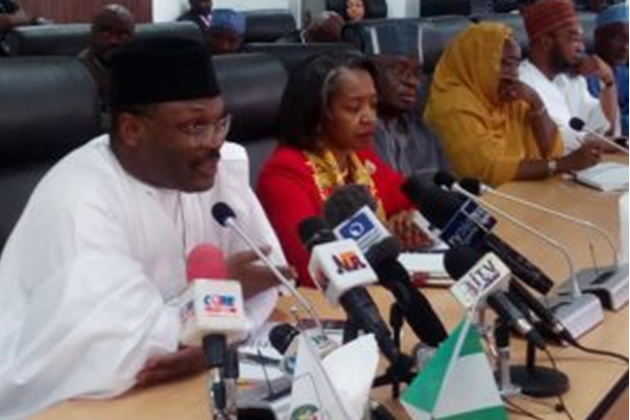 The judge also held that the party had made two unsuccessful attempts to conduct primaries in the state and list of candidates was not duly submitted to INEC by the national headquarters of the party. The judge also faulted the lower court for relying heavily on oral evidence in taking its decision, saying “oral evidence cannot be used to discredit any written evidence. A procedure must be followed whether there is an order or not. “This court hereby set aside the judgment of the trial court. This must be a hard and bitter lesson for all political parties who will not follow the guidelines lay before them,” part of the judgment read. On lack of jurisdiction to entertain the suit as argued by the appellants, the Appeal Court submitted that the lower court had power to determine such a case in accordance with the law, and therefore ruled in respondents’ favour. However, counsel for the 1st and 38th respondents, Isa Abubakar, in his reaction to the judgment said his clients would appeal it. But the PDP said that the APC participated illegally in the Zamfara State governorship election. It said this was evident in the ruling of the Court of Appeal that nullified the primary that produced the governorship candidate of the APC who participated in the election. Secondus, who said the PDP knew that the APC was smuggled into the ballot, wondered how INEC was able to print fresh ballot papers and distribute them overnight during the March 9 governorship election in the state. However, the APC asked the PDP not to celebrate yet, saying the matter would be determined by the Supreme Court. But a former governor of Ekiti State, Ayodele Fayose, hailed the Appeal Court judgment. 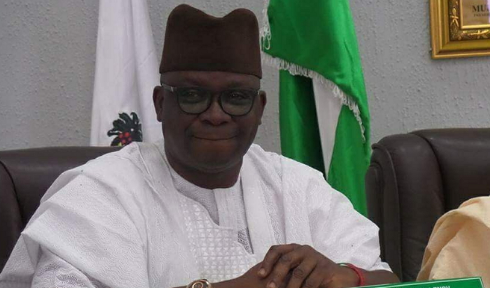 In a statement by his media aide, Lere Olayinka, in Ado Ekiti on Monday, he congratulated the PDP candidates in Zamfara State, especially the governorship candidate, Alhaji Bello Matawalle. Fayose said, “Those who believe that they can impose their wish on the people of Zamfara State will be defeated ultimately. This is a great victory for democracy. It is a sign that all hope is not lost. Those who cannot play by their own rules and run the affairs of their own party in accordance with established rules should not be rewarded with elective positions.